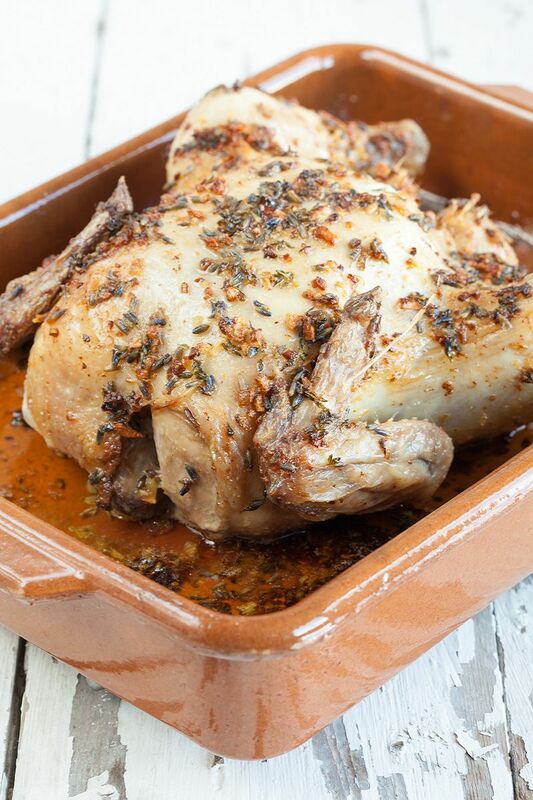 Easy and delicious way of preparing a lavender and garlic roasted chicken. Such a summer dish, share it with family and friends. PRE-HEAT your oven to a temperature of 180 degrees celsius or 356 degrees fahrenheit. CLEAN and finely chop 3 cloves of garlic. MELT butter in a small saucepan along with thyme leaves. ADD the chopped garlic and a handful of dried lavender to the butter mixture, give it a good stir. 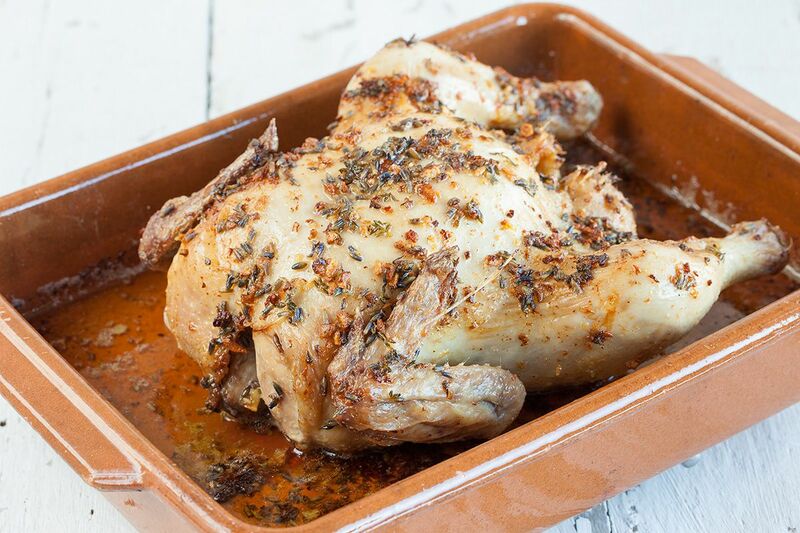 PLACE the whole chicken in the baking tray. 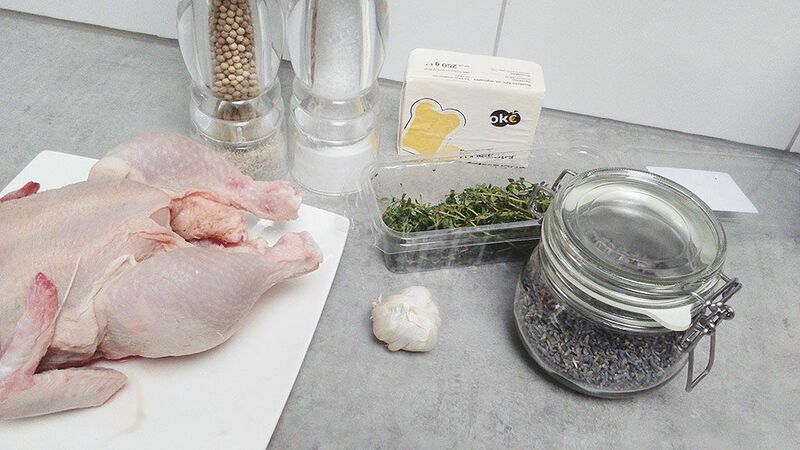 POUR over the lavender butter mixture over the whole chicken. 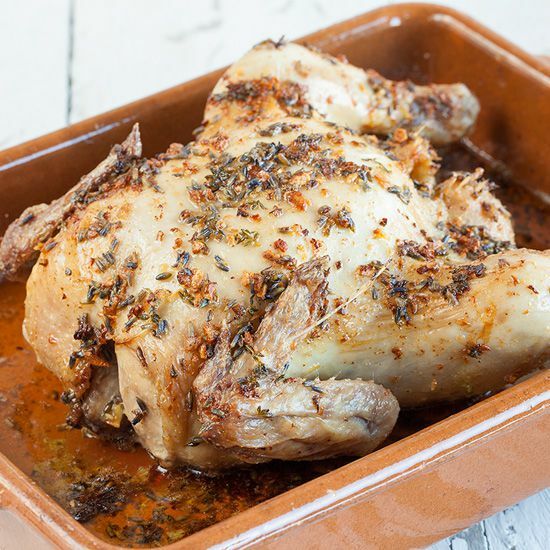 BAKE the whole chicken in the preheated oven for 1 hour and 15 minutes. You can check if the chicken is done by checking it’s temperature. The meter should read at least 71 degrees celsius, or 160 degrees fahrenheit. Don’t eat the chicken before it’s core has reached this temperature. BASTE the chicken every 25 minutes, scoop the hot butter over the chicken. Sidenote: baking time varies depending on the chicken, some chickens are more fatty than others. In any case, be sure to cook it well to prevent it from being raw. Remove from the oven and serve immediately. I can smell this through my screen! Looks delicious. Delish! Thanks for the inspiration! I’m using your recipe as a base for my own version, having made a few tweaks and twists of my own. It’s in the oven as I type, smelling heavenly and making my mouth water. Your site is great, lots of inspiration for me to try. I’m using this recipe in my weekly blog post, which will be available later today, if you want to take a look at my site. Hi Vanessa, that’s great! The entire house is filled by the delicious smells of oven roasted garlic, mmm!